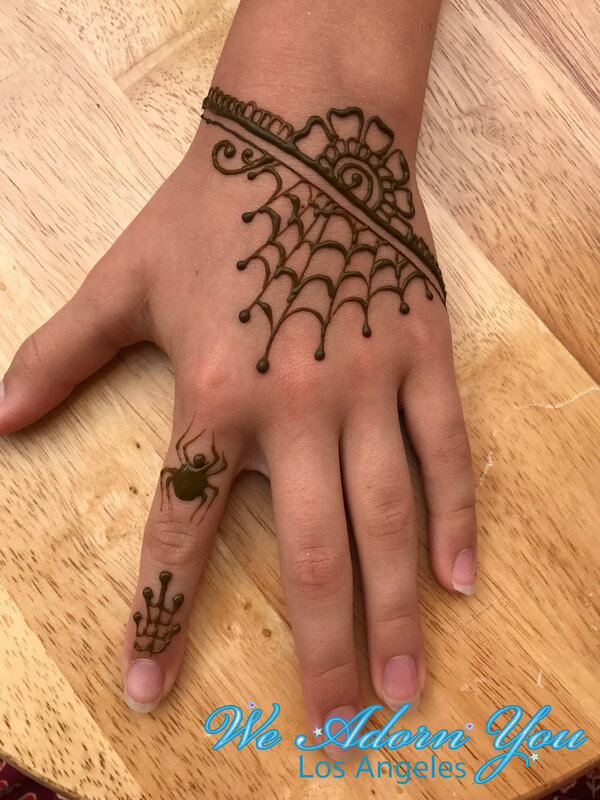 Our professional Henna and Jagua Tattoo artists will draw free hand traditional mehndi or tattoo style designs that children and adults will love. Henna and jagua use the same application technique. They are100% natural and do not contain PPD or any other toxic chemical. Jagua is not henna. It dyes the skin blue-black, just like the color of a permanent tattoo, lasts 5 to 10 days, and then disappears completely. Henna will develop to a reddish brown color and will fade gradually over the next 7 to 14 days as your skin exfoliates. The time varies according to each individual. We will provide your guests with “take home” care instructions. If you are looking for a skilled henna tattoo artist in the Los Angeles area, the talented professionals at We Adorn You are ready to impress. 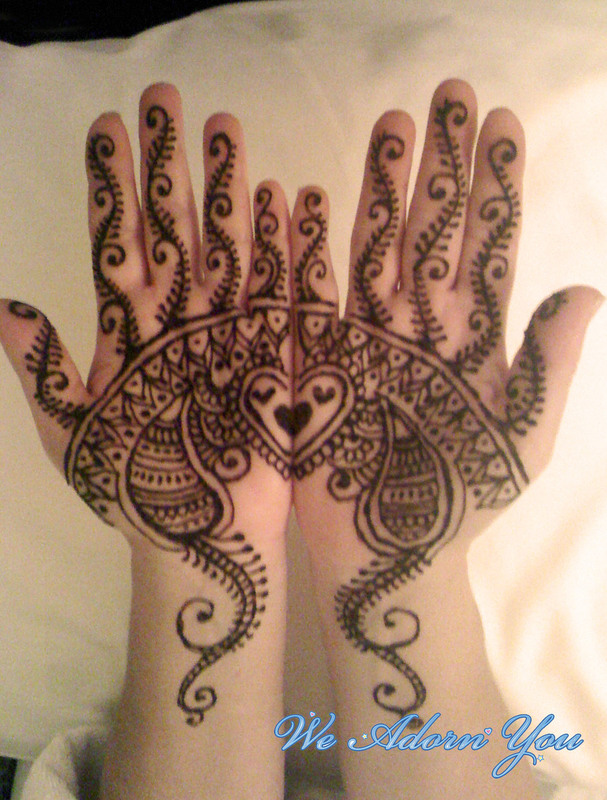 We offer intricate, beautiful and safe henna tattoos. Are you looking for a fun, temporary piece of skin art? As henna is not permanent and only lasts between one and three weeks, it is a guilt-free way of expressing yourself again and again. Our henna tattoo artists skillfully apply henna dye in unique, highly-intricate patterns. These temporary tattoos are perfect for short-term events such as wedding ceremonies, baby showers, or music festivals. Some of our clients even use henna tattoos to bring prosperity or ward off evil. Maybe you'd prefer your Mendhi design to include thin lines and floral motifs like those of the Indian tradition. Or, maybe you like the look of a more African-styled pattern with wide and geometric lines. Whatever your style, our henna tattoo artists are the best in the business. Turn heads on the beach this summer with a new henna tattoo. If you’ve ever considered getting intricate or elaborate body art, but were afraid of the pain or simply couldn’t afford it, we can help. Henna tattoos from We Adorn You are 100% pain-free and affordable. Contact us for an appointment today and get a boho-inspired look like none other. We look forward to bringing these imaginative henna creations to life for you.